I've been searching around for interesting organizing solutions (also known as procrastinating from doing the closet swap) when I came across these. Aren't they cool? Maybe it's just me, but I love old wooden boxes. 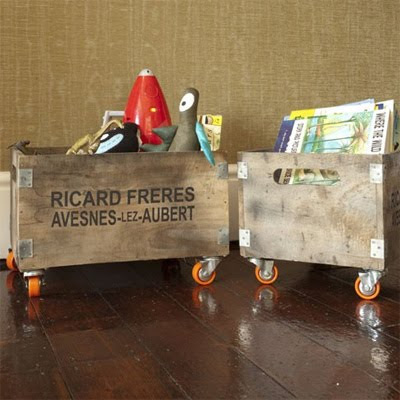 Who would have thought just to put simple casters on them and make something as functional as this?